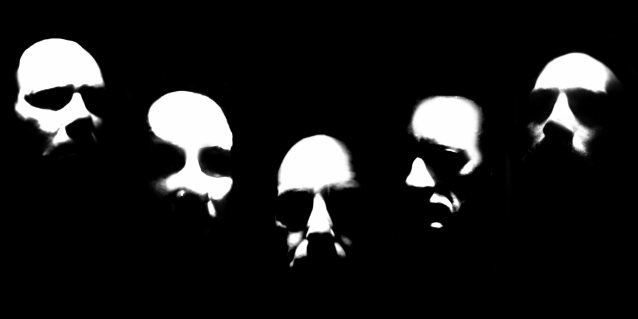 Norwegian black metal icons MAYHEM are celebrating the release of their 1994 landmark "De Mysteriis Dom Sathanas" full-length with tours across the globe. This coming January, the band will march their way across North America performing the record in its monumental entirety. 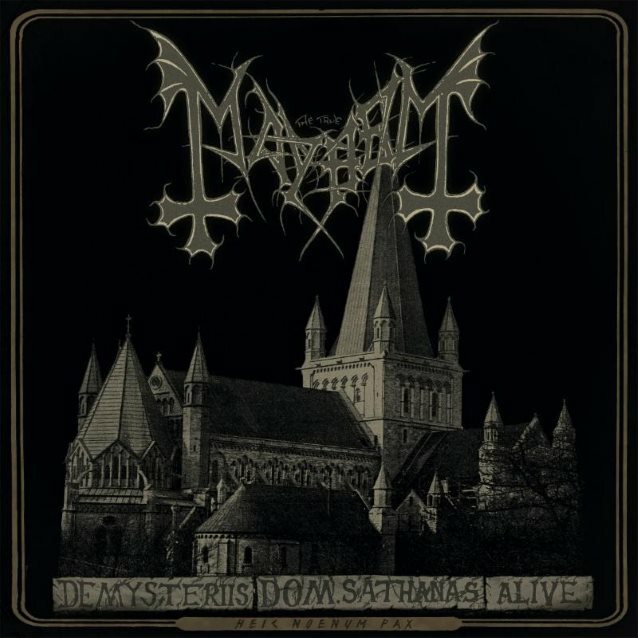 In conjunction with their many live appearances, MAYHEM will also release "De Mysteriis Dom Sathanas Alive" on December 15. The album was captured live in Norrköping, Sweden last year during the band's headlining set at the Black Christmass Festival. The show marked MAYHEM's first time ever playing "De Mysteriis Dom Sathanas" in full. A press release states about the first single, "From The Dark Past": "'From The Dark Past' has not been played many times live before, yet is in many ways an archetypical song from the band, containing key elements that are scattered throughout the rest of the album — blizzard blast beats and eerie atmospherics, all, of course, adorned by vocalist Attila Csihar's unique voice within the genre. 'De Mysteriis Dom Sathanas' is widely considered one of the most influential black metal albums of all time, and this is the first time in history this classic album from 1994 is performed live in its entirety." Sample "De Mysteriis Dom Sathanas Alive" footage of "From The Dark Past", as well as "Life Eternal", below. "De Mysteriis Dom Sathanas Alive" was recorded, mixed and mastered by Tore Stjerna and NBS Audio and produced by Csihar and guitarist Teloch with light production by Anne Weckstrom, stage design and production by Jonas Svensson, video recording by Thornfields Production and video editing by Tamàs Tarczi. The celebratory release will come available on CD, LP, and DVD (the first 1000 copies are numbered) as well as digitally on December 15. MAYHEM will return to North America on January 20 in Montreal, Quebec, Canada for a headlining tour that will pillage its way through two dozen cities, the trek coming to a close on February 19 in New York. Support will be provided by BLACK ANVIL and INQUISITION.